Today Grandma went back to her home which isn’t really close to here. Last night we all spent an extra special evening with Grandma. We decided to have some ice cream and play some fun games. Kayden chose the games and we played Twister, hide-and-go-seek and blind-man’s-bluff. 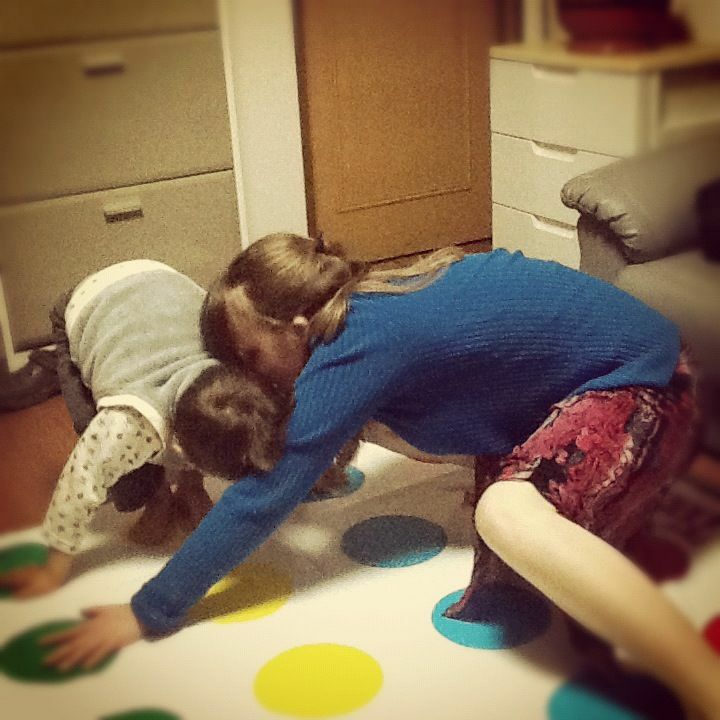 Daddy, Mommy, Kayden and Sean played twister. Grandma spun the … spinner.